Well, by now we have all accepted that smell-o-vision is still decades off from being a reality. 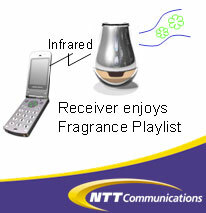 But leave it to the Japanese to take their most used electronic device, the mobile phone, and do something cool like create a mobile fragrance communication service. 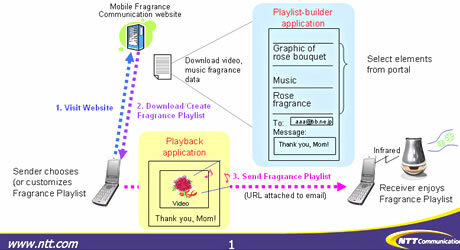 What is a mobile fragrance communication service? Imagine you are talking to your girlfriend/boyfriend who was on a long overseas trip, and they are able to send the perfume/cologne that reminds you of them through the phone. NTT DoCoMo is developing a service that will be able to do just that. How does it work? 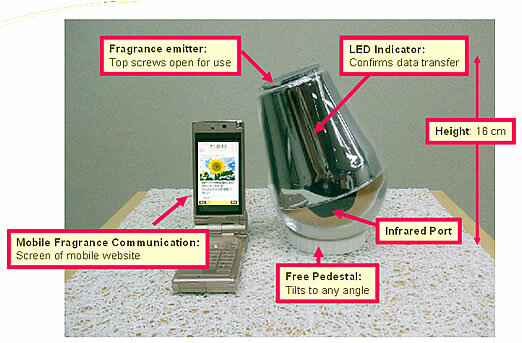 Your cell phone will be able to download fragrance information from QR codes or the Internet. You then head over to a fragrance base station that receives the information, mixes the information with a set of base scents, and then emits the requested scent.